A man in his 30s with no significant medical history presented to the ED following a fainting episode. Routine screening found an abnormal creatinine, hematuria and proteinuria. Serological work-up including complements were negative. 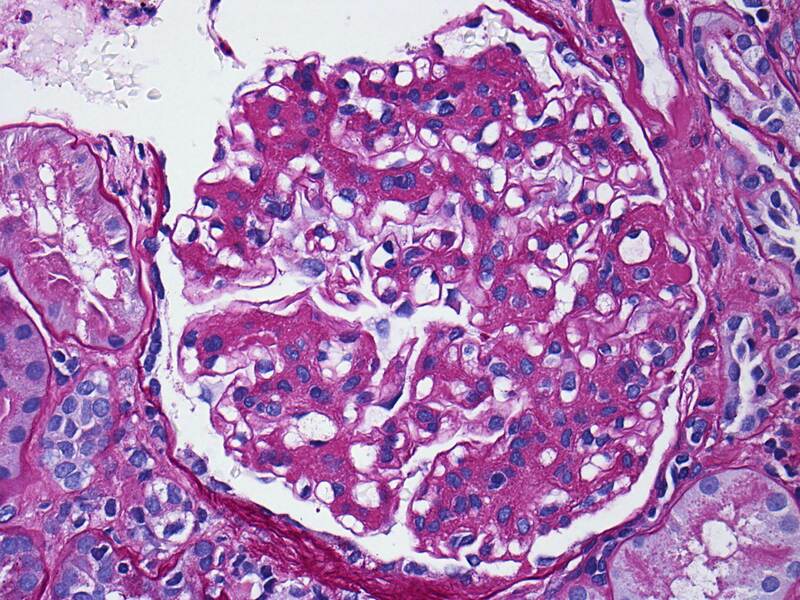 In view of a slowly increasing creatinine and 3g of proteinuria, he was referred for a renal biopsy. A low power view of the renal cortex revealed diffuse fibrosis and interstitial inflammation. 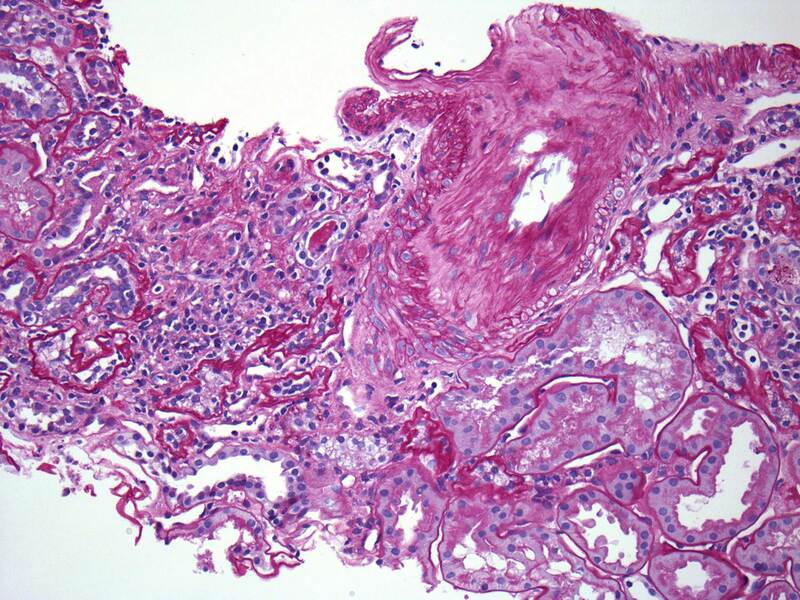 There was evidence of focal sclerosis with occasional sclerosed glomeruli. 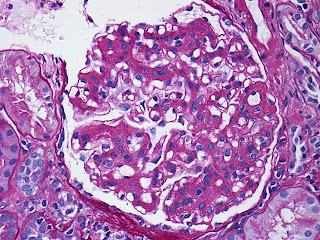 A high power view of a typical glomerulus revealed mesangial expansion and proliferation with normal-appearing capillary loops. 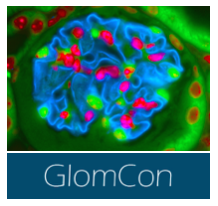 There were no cellular crescents and some glomeruli had evidence of focal sclerosis. Examination of the renal vasculature revealed severe arterial sclerosis and moderate arteriolar sclerosis. 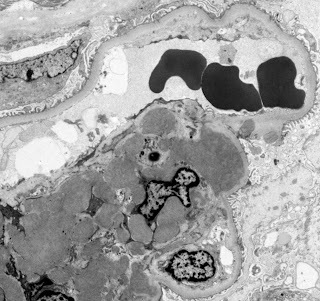 Not unexpectedly, the EM found extensive mesangial deposits with no sub-endothelial or subepithelial deposits and a normal appearing basement membrane. The podocyte morphology was also well preserved. 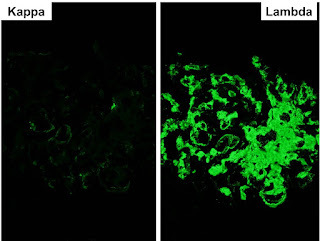 Top on the list of differentials in this patient was IgA nephropathy and as expected, the immunofluorescence revealed extensive mesangial staining for IgA. At this point, many pathology labs would leave it at this and make a straightforward diagnosis of IgA. However, our lab can't just leave it alone and generally also routinely stains for immunoglobulin light chains. Typically in IgA nephropathy, lambda light chains are more prominent than kappa light chains on IF but the difference is not marked. In this case, there was almost no staining for kappa and marked lambda staining. This suggests that a monoclonal IgA is present. The serum immunofixation was negative and so far, a bone marrow biopsy has not been done. Monoclonal IgA is rare and has only been reported in case series in the literature. It is often accompanied by a positive SPEP and is thought, at least in some cases, to be related to a clonal expansion of B-cells. About 20% of myeloma is IgA but this is rarely associated with deposition in the kidney (although this may be due to a lack of biopsies). Anecdotally (speaking to my colleagues), this form of IgA nephropathy is relatively aggressive with rapid progression. This has not been formally studied. The question that arises is how to treat this. Should it be treated with rituximab/steroids/velcade? This is relatively toxic treatment and in the absence of an abnormal bone marrow or serum evidence of a monoclonal gammopathy, it is difficult to make this argument. 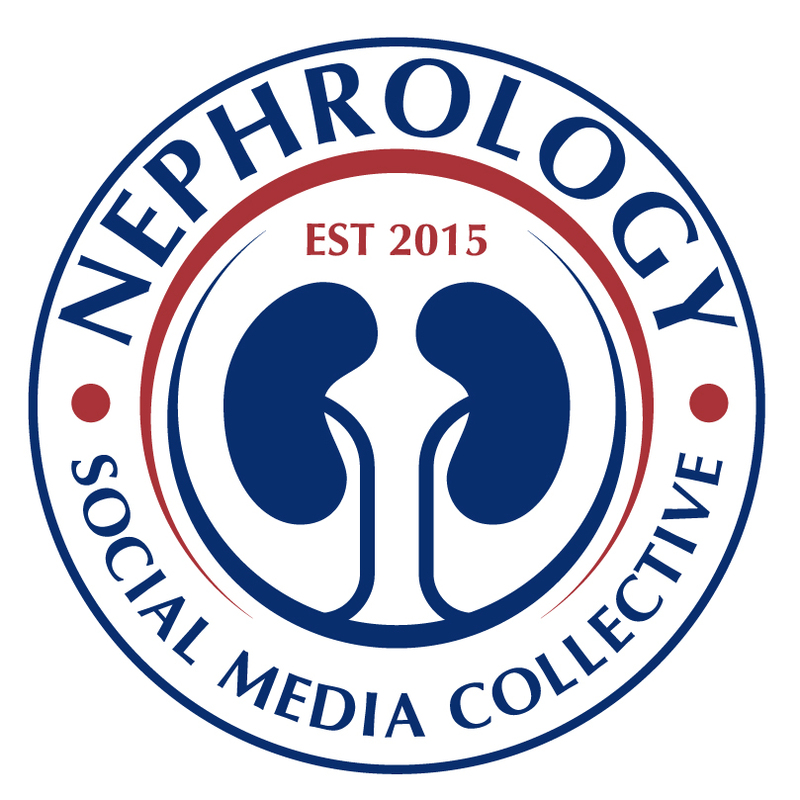 However, one would wonder about the likelihood of recurrence after renal transplantation. In this case, the decision has been made to hold off on aggressive treatment for the moment with regular monitoring of the serum. This is a fascinating case and just goes to show how diverse a condition like IgA can be. 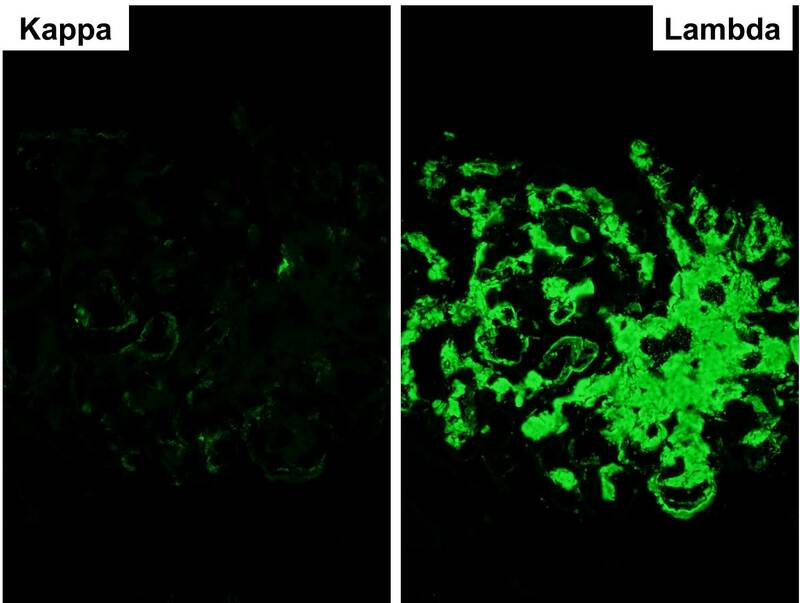 In our experience it is not very unusual to have this pattern of near complete/ complete dominance of lambda light chains over kappa in IgA nephropathy. In fact IgA nephropathy is one condition where apparent monoclonality cannot be relied upon from immunofluoroscnece findings. In this case the typical morphology, electron dense deposits in EM (indicating immune complexes)and lack of demonstrable paraprotein in immunofixation futher support diagnosis of IgA nephropathy over a "monoclonal" IgA deposition. Thanks for your comment. This question arose at our conference. There is typically a predominance of lambda light chains although in the experience of our pathologists, the degree of predominance seen in this case was unusual. I wonder is it standard practice in your institution to routinely stain Ig subclasses in IgA cases or is it only done for a specific reason? The literature on this subject is sparse and there is no definite answer so if your experience is so different from ours, I wonder if there is a reason for that. Hi Geraoid, thanks for your reply! No, we do not do routine staining for IgA subclasses (e.g IgA1,IgA2 etc.) 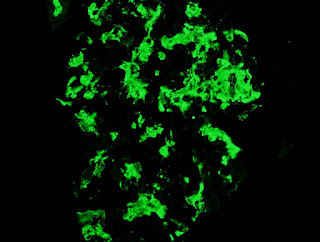 but that probably is unnecessary in all the cases, however we do perform a complete immunofluoroscence panel staining including kappa & lambda light chains for all the cases (i guess that is what you intended to ask). 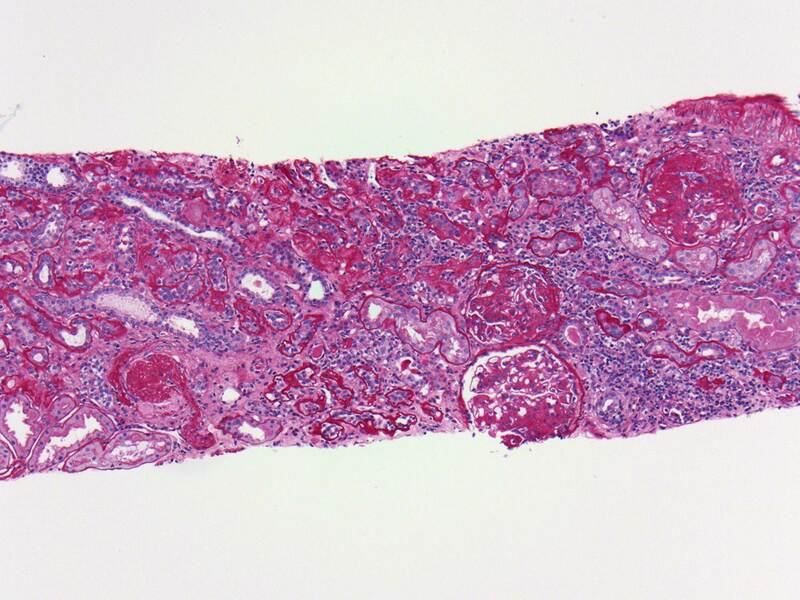 Our's is a large renal biopsy referral centre in India and we diagnose about 500 cases of IgA nephropathy annually! 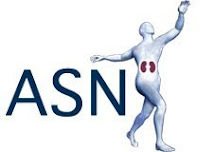 As you have pointed out, literature on monoclonal IgA disease is indeed very sparse, though enough data exists on the remarkable clinical differences between Caucasians & Asians with IgA nephropathy. While we have not done a formal study on number/proportion of cases of IgA showing near complete/complete lambda light chain dominance in DIF studies, i would put this at roughly 5% of all the cases we see in our practice. An interesting study may however be done if we also pick out these these patients and follow them up as you plan to do in your case!